CMP has roots both in the conservation and donor communities. 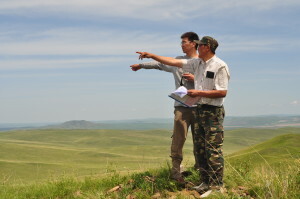 During the July 2002 annual meeting of the Society for Conservation Biology, members of the USAID-funded Global Conservation Program – in particular WWF-US, WCS and TNC – called together conservation practitioners who shared similar questions and concerns about how we monitor and measure conservation success. Participating organizations included most of the current CMP members and additional conservation organizations and donors from the UK and US. Participants presented their work on M&E, impact assessment, and auditing, identified gaps in knowledge and practice, and planned for future collaboration to address pressing issues. The meeting proved timely, providing a much-needed forum to help coalesce work on M&E across the field of conservation and catalyzing collective action. Many individual organization efforts also led directly to the establishment of CMP. In particular, M&E and auditing efforts in TNC, WWF, WCS, CI, and FOS all contributed to increased awareness among conservation organizations that these issues could best be tackled together. In the months leading up to the meeting in July 2002, representatives from these organizations had begun to discuss ways of collaborating more effectively. The second meeting of CMP took place in Washington, DC in early November 2002. During this meeting, CMP representatives reviewed draft M&E process standards and developed a draft workplan to formally establish CMP. This led to the development of the Open Standards for the Practice of Conservation in 2004 (updated in 2007 and 2013). Since 2002, CMP membership has grown, and numerous products have emerged. You can learn about CMP’s key products by reviewing Our Initiatives.